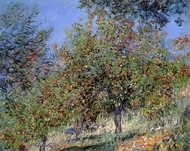 Monet, Renoir, Degas, Sisley, Pissarro, Cezanne; these are all artists who painted some of the most famous impressionist paintings in the world. 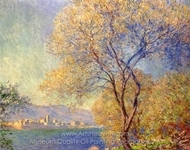 Impressionism was a 19th Century art movement that began in Paris, France. The movement of impressionism paintings was not exclusive to the French, however, as Dutchman Vincent Van Gogh is also considered an artist who mastered in impressionism painting during this time period. 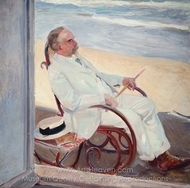 American painters, such as William Merritt Chase and Mary Cassatt were also impressionists; paintings using this exclusive style were constructed throughout the world. 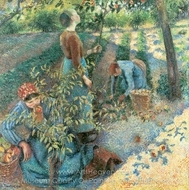 Impressionist paintings for sale became the desired choice of wall hangings in the latter 19th century. Impressionist art and the movement got their name from Claude Monet -- perhaps one of the most famous artists of impressionism paintings. Monet believed that the first impression of anything was the most crucial, so he dubbed one impressionism painting Impression Sunrise, as it was a reflection of his first impression of a sunrise he viewed from his home window. 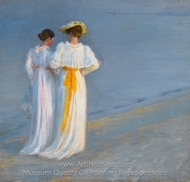 Moving forward, artists were impressionists, paintings were of the Impressionism movement. Despite some disdain toward the label, especially from Edgar Degas, painting impressionist paintings for sale became these artists' livelihood. 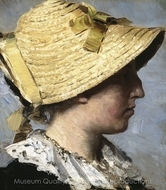 The technique used in most impressionist paintings is based on soft brush strokes and the use of color. 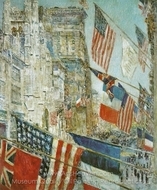 Many impressionism paintings appear almost muddled at close look. Take a step back from the painting, however, and the picture becomes vividly clear. 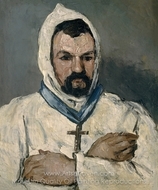 For some impressionists, paintings were their voice. 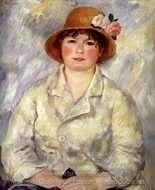 One takes a look at a soft-colored Monet, Renoir, or Cassatt, and almost sees the artist happily painting what they see as they stand at their aisle outside. Van Gogh, on the other hand, often painted with sharp edges and deep colors, possibly revealing the mental anguish he held inside. 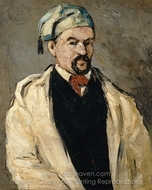 Degas impressionist paintings were "realist," according to the artist, who preferred a more formal technique and an official studio. 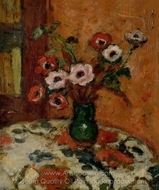 Impressionist artworks are considered some of the most popular and famous oil paintings in the world. 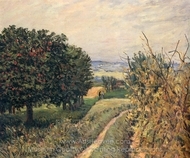 Many might not know a modern-day artist by name, but nearly everyone has heard of Monet. 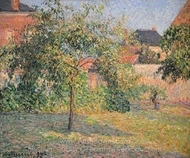 Perhaps this is because impressionism paintings leave that indelible mark in the mind of the viewer like Monet implied. Impressionism is meant to cause the viewer to think about what they are looking at; ponder, if you will impressionists, paintings, and the time period they reflect. This keeps impressionist paintings a top moneymaker in the art industry. 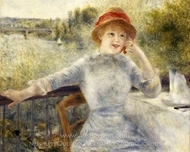 Of course many original impressionist paintings are not for sale. 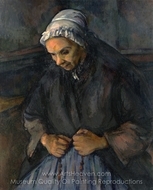 Rather, impressionism paintings remain a huge draw to museums and exhibits alike. 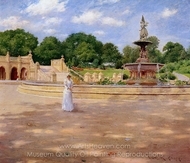 Impressionists, paintings, their history, and techniques remain primary coursework for many art students. 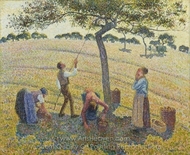 Artists, many employed by ArtsHeaven.com, study this technique so they can replicate it accurately when recreating original impressionist paintings for sale.